I tried one and was pleasantly surprised by the rich, buttery flavor. And my memory of the rest of that night consists of me going back to the kitchen for another one, over and over again. I’d rather not speculate on how many I had, but I know the box was a lot lighter the next day. 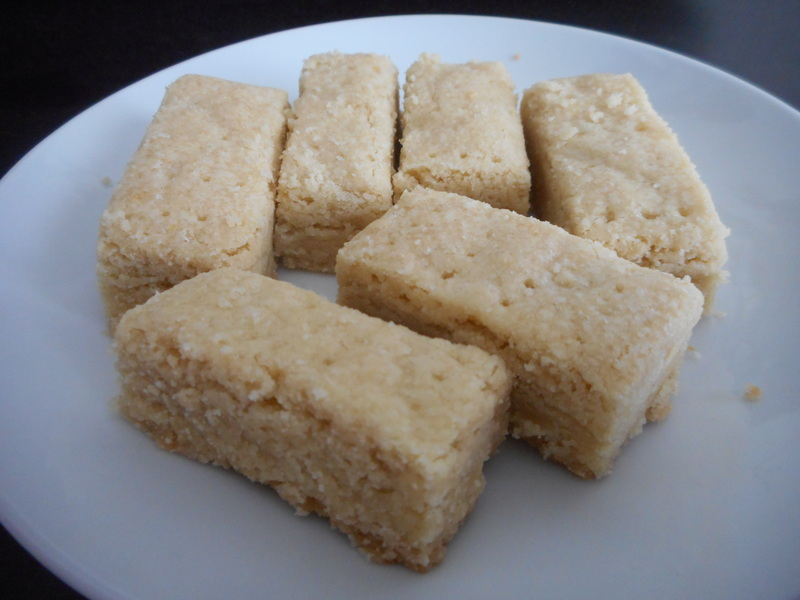 This newfound love for shortbread gave my mother another way to bribe me. I have specific memories of her telling me that if I didn’t behave and do X, I wouldn’t get shortbread at Christmas. I mean, it worked. And all these years later, I’m still just as capable of eating more shortbread than is healthy or sane. I made this on Sunday, and left with 32 pieces of rich shortbread, I wasn’t sure what I’d do with it all. I contemplated freezing some. But it turns out I needn’t have worried. Kate and I ate it all within a span of four days. I can’t even blame Steve Urkel this time. I love how close this shortbread is to the actual Walkers shortbread in terms of flavor. This is even better, in fact, because it tastes… fresher. You know it came from an oven and not a plastic wrapper. Using European-style butter helped, too. If you’re going to make something that’s mostly butter, you better make sure it’s good butter. European-style butter has more fat (and therefore less water) than your average butter, which makes it more flavorful. The one place where this shortbread falls a little bit short is texture. 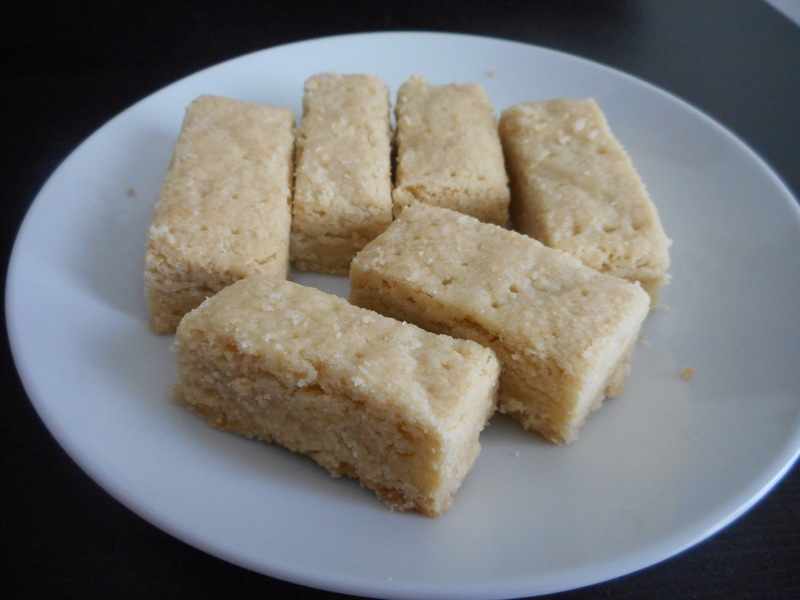 This shortbread is crunchy–especially the edge pieces–but non-edge pieces, while they can hold their own in terms of texture, aren’t as crunchy as actual Walkers shortbread. It’s not that they’re soft, or chewy, or crumbly. It’s just not a completely crisp bite. I’m perfectly okay with this difference in texture, but I do want to mention it in case it’s a dealbreaker for anyone. I left these in the oven for as long as I felt comfortable–which was 35 minutes, when the edges started to get a little too brown for my liking–so I don’t think additional time in the oven will help. 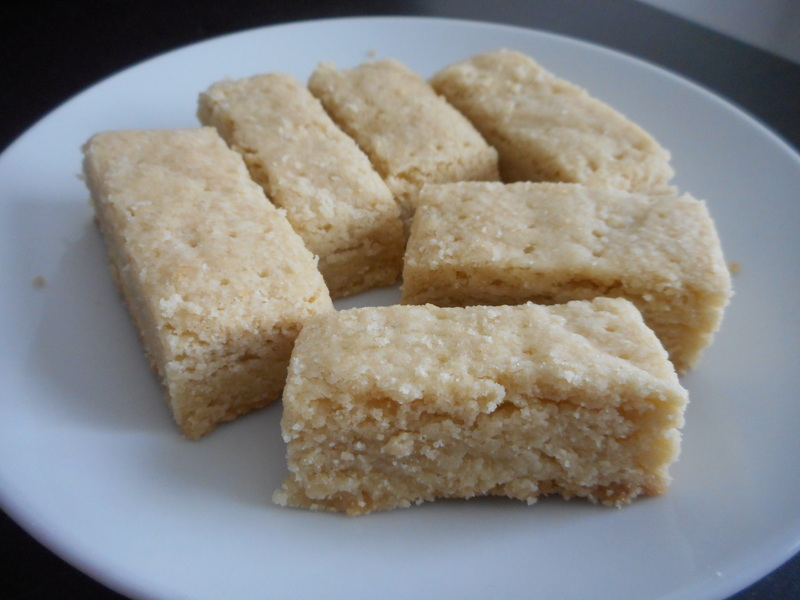 However, this article is very informative–it describes how changes like butter temperature, different types of flour, using a rolling pin, and more affect the taste and texture of shortbread. I have no interest in using the recipe offered in the link because I’m so attached to the one I used to make this batch. But next time, I’d like to try a couple of smaller adjustments based on the information in the article–perhaps a lower oven temperature and a small amount of cornstarch. I’ll keep you posted. Until then, enjoy these with tea, coffee, or cocoa. Family Matters reruns optional. Makes 32 pieces of shortbread. Step one, if using a food processor: Combine the flour, sugar, and salt in the bowl of a food processor and pulse to blend. Cut the butter into squares and add to the food processor. Let it… process… in the food processor for about a minute, or until the butter is evenly dispersed and the mixture is sandy and starts to clump together. Step one, if not using a food processor (ie here’s what I did): Combine the flour, sugar, and salt in a large bowl. Using your fingers, a knife, a fork, or whatever you like, rub the butter into the flour mixture, making sure no chunks of the butter remain. When the butter is fully incorporated and the mixture is fine and sandy, you’re good to go. Next steps, regardless of which method you chose above: Dump the dough into a 9×9 square pan and press down on it tightly to form an even layer. Use the bottom of a glass to tamp the dough down firmly (smooth the top down afterwards if you don’t want glass rings all up in your shortbread). Use a sharp knife to lightly score the dough into 32 pieces–8 rows by 4 rows. If you like, use a fork to dock the dough. 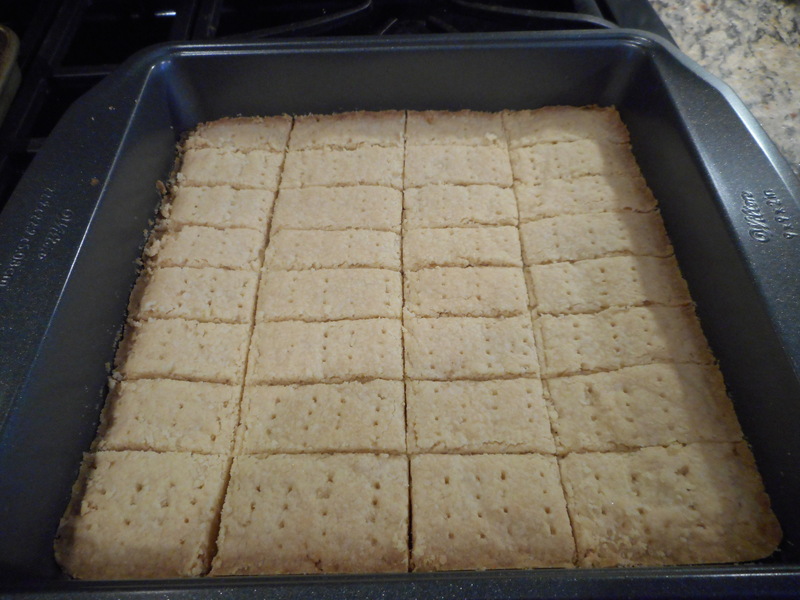 Bake for 30-35 minutes or until the shortbread is lightly browned on the edges. After taking the shortbread out of the oven, let cool for 5 minutes before using a sharp knife to cut along the lines you scored earlier. Let the shortbread cool completely before you break the pieces apart.